Martin McGuinness' home after it was targetted with paint-bombs. Sinn Féin MLA Martin McGuinness has described a paint-bomb attack on his home on Sunday night as an “attack on his family including his grandchildren”. Speaking to the ‘Journal’ Mr. McGuinness thanked his neighbours for their help in the wake of the incident. “This was an attack not just on me but on my family too, including my grandchildren who were in the house at the time. “I would like to thank my neighbours for all their help and assistance in the aftermath of the attack. Mr. McGuinness said he would “not be deflected” from his responsibilities as an elected representative and vowed to carry on “building a peaceful future”. 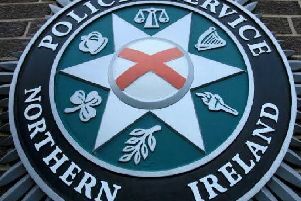 Paint-bombs thrown at Martin McGuinness' home in Derry. “The people behind these attacks have nothing to offer the community and they are intent on dragging society back to the past. “Neither I or the people I represent will allow them to do that. The Unity of Purpose, a group comprised of local MLAs, MPs and MEPs, statutory, business and community leaders working together to promote peace and prosperity for the city and region condemned the attack on Mr. McGuinness’ home. “We totally condemn this latest attack at the home of the Deputy First Minister, Martin McGuinness, as an attack against democracy and the pursuit of peace and reconciliation. Unity of Purpose is committed to adhering to its founding principle ‘if you hurt one of us you hurt us all’.